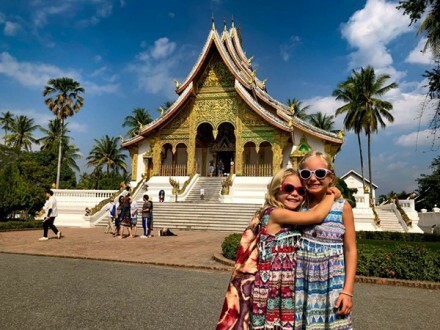 Within only 4 days, a tour combined with Vientiane and Luang Prabang will show you the authentics Laos. Take a glimpse of rich cultural capital Vientiane, it has an unique charm that unveils itself to the intrepid traveller. You will join the city tour around main sites Wat Sisaket, Ho Prakeo and Budhha Park which is filled with over 200 Buddhist and Hindu statues. After that, Luang Prabang with its unresisted charm of Pak Ou Cave and Kuang Si waterfall is a must-visit city even just by a glance. 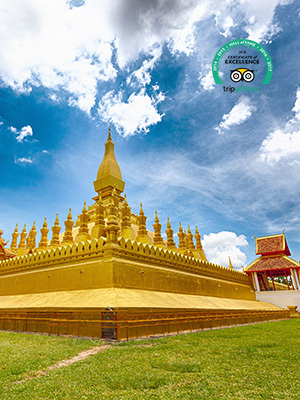 Finish your Laos excursion at Wat Xiengthong, one of the highest symbols of Buddhism in in Luang Prabang as well as Laos. Take a 4-day tour to experience the beauty of charming Luang Prabang city inside those 33 gilded wats. You will be taken from ancient temple Wat Xiengthong in the city centre to the natural breath-taking landscape of Pak Ou Cave where some of the most famous Buddhist sculptures in South Asia are located. A trip to idyllic countryside of Luang Prabang will give you a glance at Laotian farming process and their traditional styled fabric weaving. Prepare yourself for a cool dip at Kuang Si waterfall and spend an hour to visit the Bear Rescue Center nearby before your beautiful time at Luang Prabang comes to an end. Luang Prabang, a Shangri-La of golden temples and pampered refinement, a former royal capital full of Laotian outstanding cultural features. 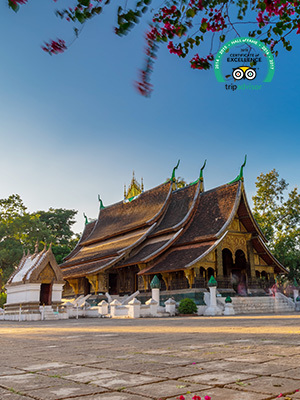 If you wish to understand every quintessence of this charming city, let join this tour without hesitating as we will follow an unique route along Luang Prabang streets. 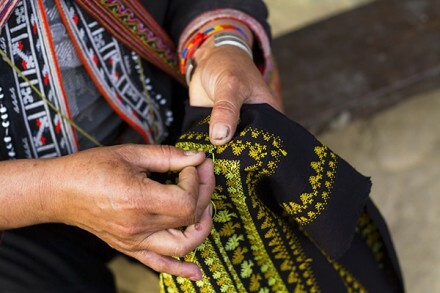 You will discover Laos ritual ceremony include the Baci and the Alms giving, take a brief walk from the Traditional Arts & Ethnology Center to the Ock Pop Tok Living Craft Center where you can gain some worthful skills such as silk dye, textile weaving or Hmong Batik drawing technique. The trip definitely will give you high value experiences in Luang Prabang. When arrive at Laos - the Land of Million Elephants, Luang Prabang and its ancient attraction can’t be failed to mention. 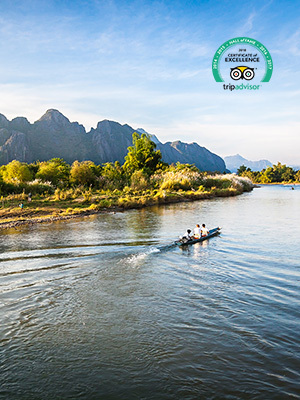 Starting at the Royal Palace Museum then go up the Mekong River to the sacred caves of Pak Ou, your Luang Prabang trip continues to the bright mosaics of Wat Xieng Thong and the rich cultural Traditional Art & Ethnology Center. 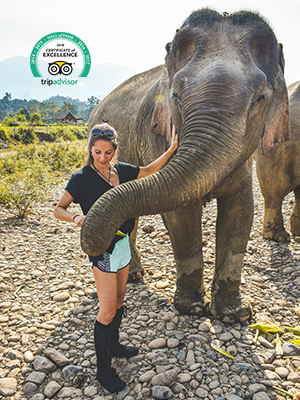 Highlight of this trip comes out when you visit the Elephant Village Camp and spend a whole day riding on their backs, feeding and taking bath for these huge but gentle mammals. Last but not least, witness the untouched natural charms of waterfall Kuang Si – one of Luang Prabang major touristic site. 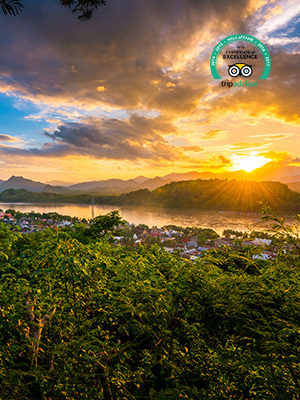 Declared a UNESCO World Heritage Site in 1995, Luang Prabang nestled in the mountains at the confluence of the Mekong River and the Khan River. A nature-lover cannot pass the first botanical garden in Laos - Pha Tad Ke -where you will discovery the local flora consists of hundreds species of vegetation. Following the city tour program, immerse yourself in Kuang Si waterfall and Pak Ou Cave which is ranked as one of the best thing to do in Luang Prabang. Wake up early in the morning to join the Alms giving then have a short visit to Ban Lae, as soon as you experience the Luang Prabang locals lifestyle your trip will meaningfully end up. That’s wonderful when you discover Classic Laos 5 days.The mystery Laos is charming with the Royal Palace Museum, which hosts a range of interesting artifacts, impressive stupa of Wat Visoun and the shrine of Wat Aham and beautiful nature such as Khuang Si Waterfall where you can cool off with a refreshing swim in the pools or walk along the forest trails or have good time to exploration of the area of the 4000 islands by boat. 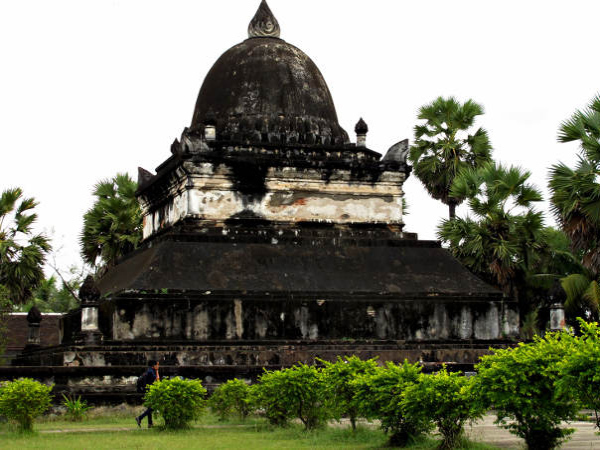 Moreover, discover the fascinating pre-Angkorian ruins of Wat Phu and you will be attracted by the architecher here. Especialy, taking a boat into the famous Kong Lor Cave which is over 7km long and includes a spectacular cavern over 100m high. Beside that, moving to local villages of Lao ethnic minority groups at Ban Ouay, a Hmong village, Ban Ou a Laoloum village and Ban Thapene, Khmu villages where you can see the daily life of the local people and see how do they made traditional crafts.Beside that, walk for around three hours through forest and upland fields to the highest point of the trek, where there is an Akha resting place would make you feel interesting. So, let Travel Sense Asia support you the Classic Laos 5 days and keep your great time in ancient Laos. Laos and Cambodia both suffered from years of isolation, and now we can finally explore their beautiful hidden treasures. Laos and Cambodia Treasure tour allows you to follow the trail of the Khmer on a scenic journey through Thailand, Laos and Cambodia. 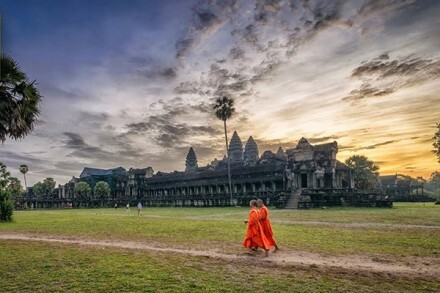 The Angkorian ruins of Wat Phu and the enchanting Wonder of the World, Angkor Wat are unforgettable sites of this tour and must be seen! 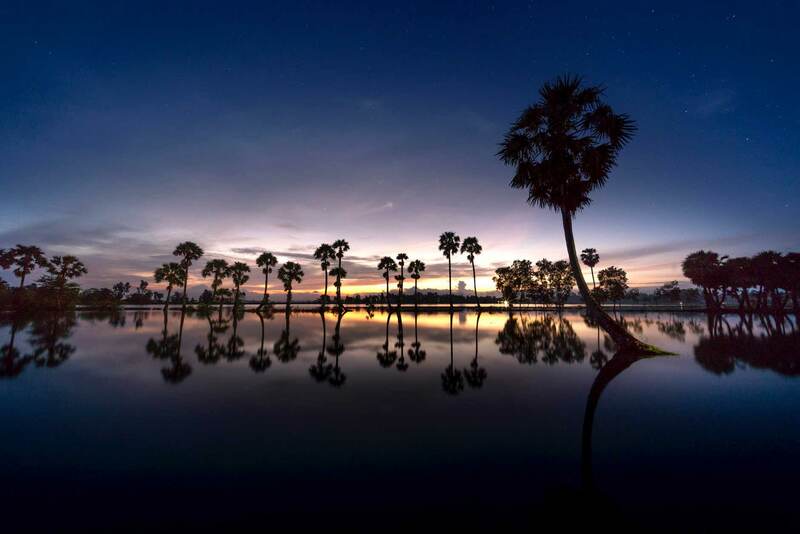 The Cambodia and Laos Itinerary also provides a combination of atmospheric river journeys, remote hill tribe villages, scenic waterfalls and busy capital cities. Let Travel Sense Asia take you the trip Laos and Cambodia itinerary and keep all your amazing emotions in these mystery Laos and Cambodia. 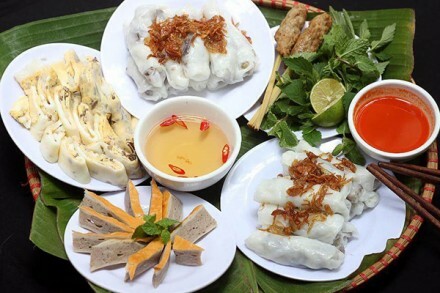 This Indochina trip, you have chance to discover along Vietnam. 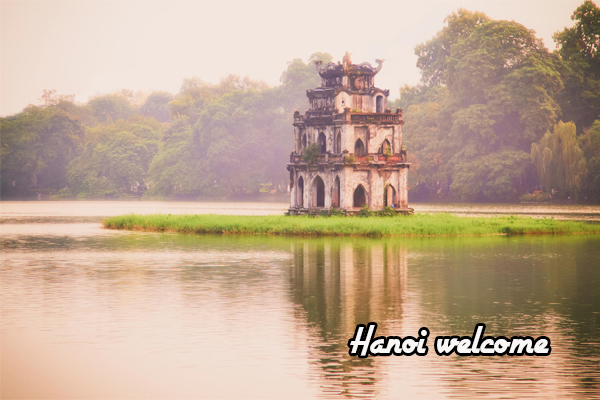 Starting from the North Vietnam, your first step in the Hanoi capital which is the heart of Vietnamese. Coming to the mountain and enjoy your trip with the Vietnam’s ethnic people. 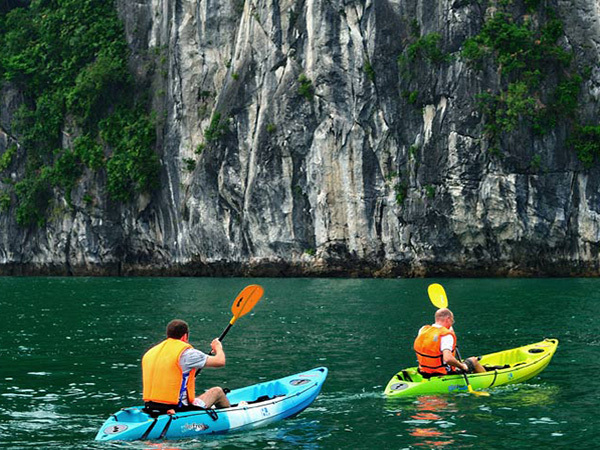 That’s amazing when you walk through the bamboo forest in Sapa or cruising around Trang An ( Ninh Binh) that was called “Halong Bay on land” and enjoy luxury cruise in real Halong Bay. Say goodbye to the landscap in the North, keep moving to Vietnam’s Center, you will have different emotions. That’s really wonderful when you visiting Hue citadel to know more about Nguyen Dynasty- the last feudal in Vietnam. 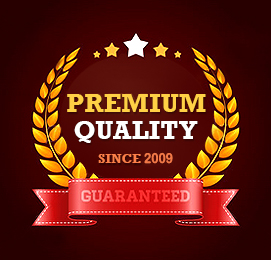 You are immersed in a quiet romantic atmosphere and feeling a bit nostalgic. 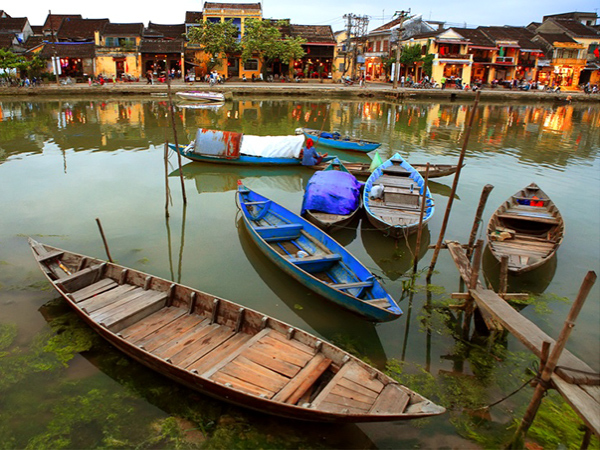 Say goodbye to Hue, moving to Hoi an ancient town and enjoy the colorful street when darkness was encroached by lantern\'s light. The wonderful time in Nha Trang beach would make you happier. Futhermore, move deeper into the Southern, you can’t feel the majestic scenery of the north, the Vietnam’s Center full of sunny and windy, but a peaceful countryside appear in front of your eyes in the Southern. 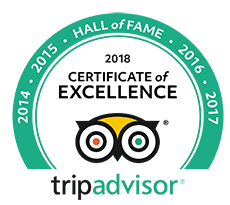 Visiting to Cao dai holy that is the third largest religion in Vietnam and visiting Cu Chi tunnels which is the longest Tunnels was recognized by Asian record and was a Viet Cong base, you will see the Vietnam’s brave during the war. And the other emotions for your vacation is taking a boat in the Mekong river, come to Cai Be floating colorful market,cruising among local barges full of fruits and vegetables and the sweet singing of the girls on the Southwest waterfront will be attract and gives you great feeling about the land and the people here.in addition, enjoy all the speclia local foods during your trip is really wonderful. Let Travel Sense Asia support you to this Indochina Holiday Packages trip Classic Indochina 23 days. We hope you will have good emotions in our country.